If you have any questions about the HAVANA 72 information page below please contact us. 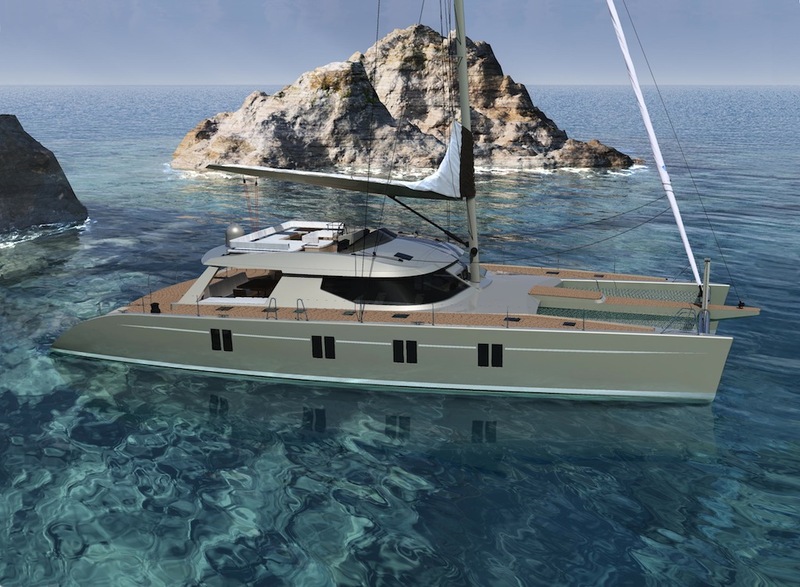 Sailing Catamaran HAVANA 72 yacht is the first model of the Havana series built by Alu Marine, with the interior and exterior design by Berret Racoupeau Yacht Design. The Sailing Yacht Havana 72 is extremely stable, strong and seaworthy. The hull, deck and structural bulkheads are purpose-built in aluminum for its superior strength and unrivalled longevity. The aluminum construction also has the advantage of allowing a greater flexibility for customization. The interior layout can be personalized to the customer’s needs and requirements. 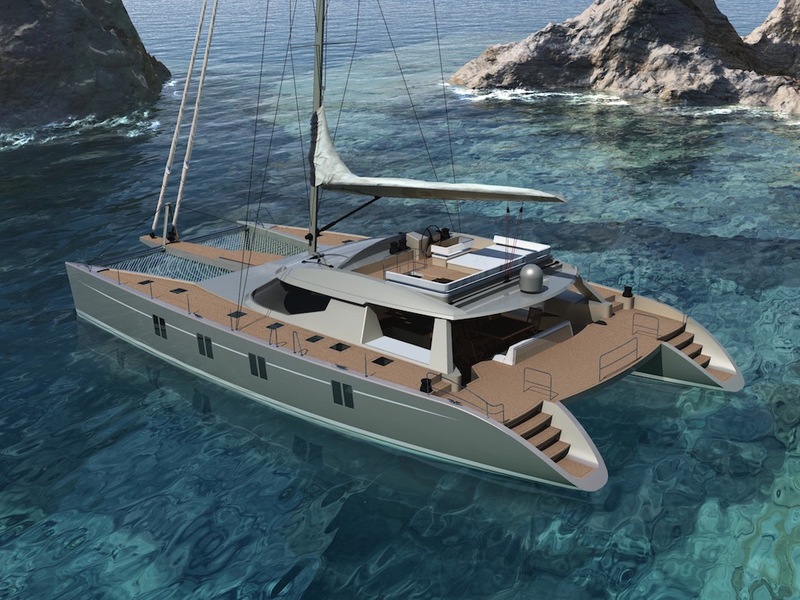 The sailing catamaran Havana 72 yacht is available in 3 versions. Each owner will find the configuration best adapted for his navigation schedule. 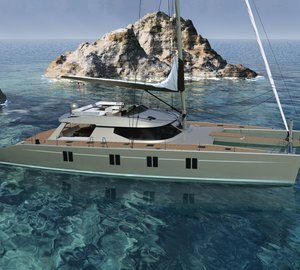 Designed for coastal and blue water cruising, the sailing catamaran Havana 72 features a shallow draft to reach the most inaccessible places and moor in remote and peaceful anchorages. It is also a “long distance runner” with a range suited to ocean crossing, perfect to sail around the world. With the excellent quality of construction and a very solid hull, the Havana 72 catamaran gives total confidence and peace of mind while cruising on the high seas. The fine hull lines of the sailing catamaran yacht Havana 72 reduce the wetted surface and provide a smooth glide through the water. With an upwind sail area close to 300 m2, this catamaran guarantees a good performance and a great feeling. The flybridge seats, the large steering wheel and the location of the navigation instruments ensure the helmsman’s comfort. Visibility from the helm station is excellent. The centralized controls lines are brought back to 4 winches and particularly easy to use. The hull and deck lines are modern, clean and in keeping with the interior design. The quality of the furniture and exterior lighting provide a warm and elegant ambience. 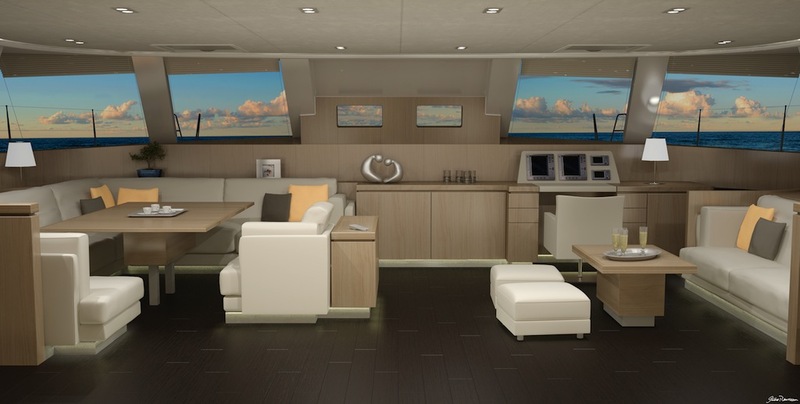 The living space is vast with two seating areas, in the cockpit and on the flybridge. The wide side decks and flush hatches make it easy and safe to move around the deck. Spacious, the flybridge is also a friendly and comfortable living space with large sunbeds and a coffee table – the perfect place to relax with family and friends. A raising platform can be fitted aft between the transoms for bathing and for stowing the tender. The saloon of the Havana 72 sailing yacht, which can be adapted to the owner’s choice, is very light and opens widely onto the outside. The telescopic tables allow this spacious and friendly dining area to be converted into a comfortable lounge with a warm and relaxed atmosphere. The size of the portholes has been optimized to offer excellent natural light and fantastic views over the ocean wherever you are in the boat. The galley is extremely functional and well located in the port side hull with easy access from the saloon. The cabins are spacious and impressive with luxurious and versatile accommodation. In the aft portside cabin, the double bed is easily convertible into twin beds. Created by Berret Racoupeau Yacht Design interior designers, the interior has been carefully designed with elegant lines and refined materials. The rich woodwork, indirect lighting and comfortable sofas create a serene and calm atmosphere, perfect for a blissful relaxation. We do have available further accommodation information for yacht HAVANA 72, so please enquire for more information. We do have available further amenity, owner and price information for the 22.45 m (73’65”) yacht HAVANA 72, so please enquire for more information. The luxury yacht HAVANA 72 displayed on this page is merely informational and she is not necessarily available for yacht charter or for sale, nor is she represented or marketed in anyway by CharterWorld. This web page and the superyacht information contained herein is not contractual. All yacht specifications and informations are displayed in good faith but CharterWorld does not warrant or assume any legal liability or responsibility for the current accuracy, completeness, validity, or usefulness of any superyacht information and/or images displayed. All boat information is subject to change without prior notice and may not be current.